A valid LINK bar-coded library card is needed to borrow materials from the Columbus Public Library. Adults requesting a library card are required to submit a Photo ID along with acceptable proof of current address: Wisconsin driver's license, canceled mail, or a checkbook. 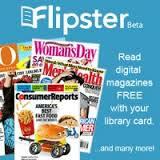 View our Get a Library Card page and Circulation Policy for more information. Children must be accompanied by an adult who will take responsibility for the child's account and provide photo ID and proof of address. Reference materials circulate as marked on the material itself. Interlibrary loan due dates may vary, so please ask a staff member for more details. How many of each item type can I have checked out to my account? The Columbus Public Library does not charge overdue fees for children's and tween's materials! Please note that replacement and damage costs still apply. Please notify the library as soon as possible so we can check to see if your card was left at the library and help prevent others from checking out materials using your lost card. Afterwards, you can stop by the library to obtain a replacement card for a $1.00 fee. Is there a grace period for returning items? Yes. Though materials are due on the date stamped or as shown on the patrons receipt, patrons will not be charged overdue fines if the item is returned during the 7-day grace period. Can I still check out books and use library computers if I have unpaid late fees? If you have unpaid late, damage, and/or replacement fees totaling $5.00 or more you can still use library computers, but you will be unable to check out materials until unpaid late fees associated with your account are less that $5.00. When I receive a citation from the police department can I return the materials and avoid going to court or paying a fine? No. Once the information is sent to the police department for city ordnance violation it is out of the library's hands. The police department files the citations and issues a notice to appear in court. If you return your lost materials to the library we will notify the police department. If you received a judgment any fines, etc. owed need to be paid to the Clerk of Courts not the library. The Clerk of Courts than sends the library a check and your record will be cleared of charges for those materials.